ModdingWe'll do justice to our company motto - Curiosity, Creativity, Community - by delivering significant modding improvements this year. Documentation, samples, and fixes that make new things possible are all in our pipeline. We will look at the topics of licenses and content usage, as well as making sure that with upcoming Platform Updates, we provide Experimental server branch to everybody so that both server owners and content creators can look at the game changes happening, and make necessary arrangements for their creations. WeaponsWe have a massive weapons backlog to go through, and you can expect that we will not only look into current issues with firearms (both visual and functional), damage and unconsciousness values but most importantly into that big stash of weapons that haven't been implemented yet. Our weapons strike team has already managed to make steps toward having two new firearms implemented in the upcoming February Platform Update. We will share more details when they're ready. VehiclesVehicles have a lot more polish coming to them this year in terms of stability and functionality. As already mentioned, we know and understand that server performance has a huge impact on the experience, especially when player counts go beyond the recommended 60 players on community servers. Server optimisation plays a huge part in our early spring cleaning, so bear with us. While this is, of course, important, we can't forget that we should expand the variety of vehicular transport; this year will bring more options to players. Once again, we will share more details on the upcoming vehicles once we're sure we're ready to deliver. ConsolesRecently, we've opened a round of Community Feedback targeted at our Xbox Survivors[forums.dayz.com], and it proved to be a great source of useful information. Our console specialists in Bratislava are already looking into Xbox specific issues that were reported often and can be scheduled for a relatively easy fix, and there are of course the more complex issues like rendering and performance drops that are being investigated. 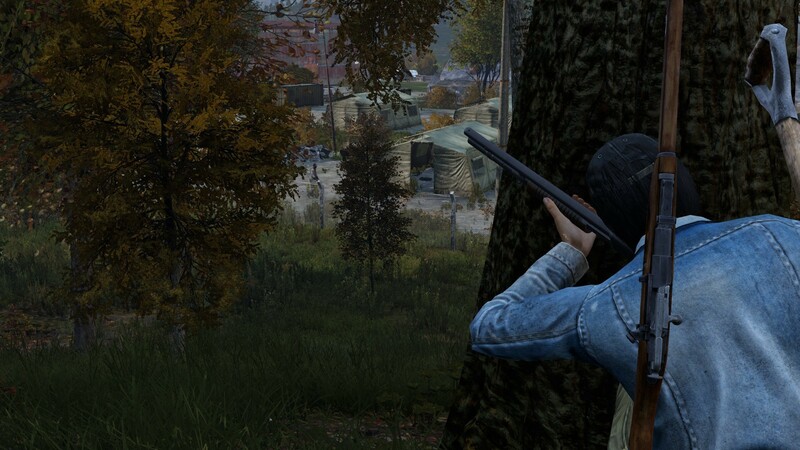 DayZ launched with very decent frames in Xbox Game Preview, and we believe we can get rid of the current drops. It will take some time though. CommunicationWith many internal changes in planning and how we approach update releases overall, we will also need to be rethinking how often and in what forms we're communicating with you. We still have a lot of brainstorming to do, but it's very likely that the frequency of development Status Reports will no longer follow the 2 week period. Instead, we'd like to think of ways how to more actively work with what's happening in the community, engage in the events organised by community server owners, and improve the direct communication across channels.